Hello my crafty friends! 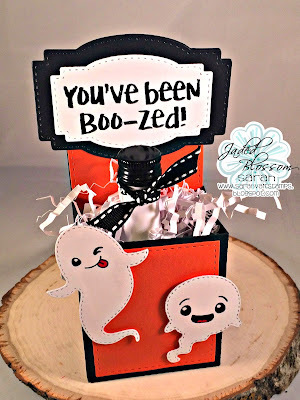 Sarah here with you all taking over the blog and I have this fun little project to share with you all in case you need a little something to gift someone for Halloween... which will be here before we know it! I am still trying to figure out what happened to August... much less that it is now October! Yikes! But alas that's enough of my ramblings! Here is what I have created to share with you all today! Love this ... what a cute little gift for our adult friends!! Super cute!! Love this box and the little ghost are adorable! Thank you for sharing! !